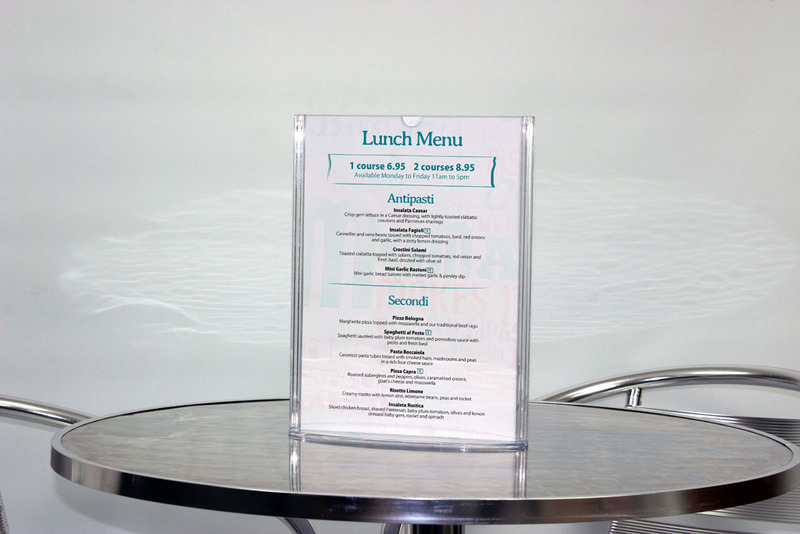 Decorative menu board, silver round corners. Landscape or portrait. 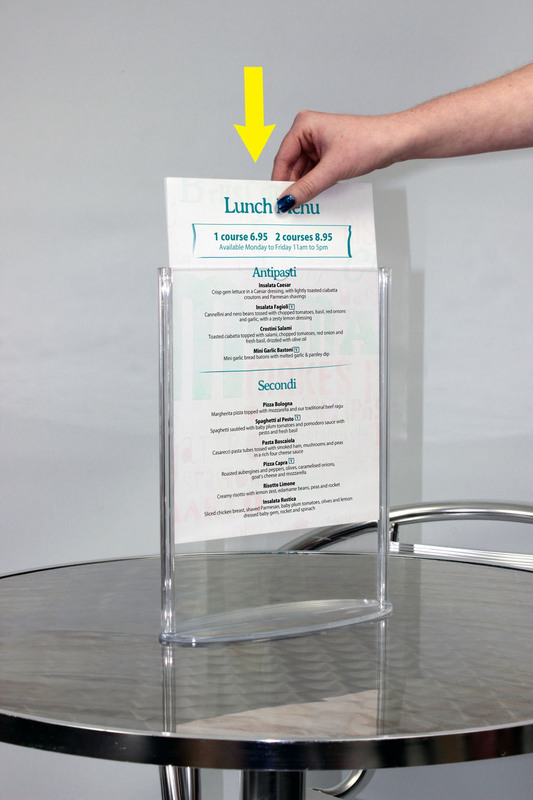 Table top menu holder in strong, clear GPPS (injection moulded polystyrene). 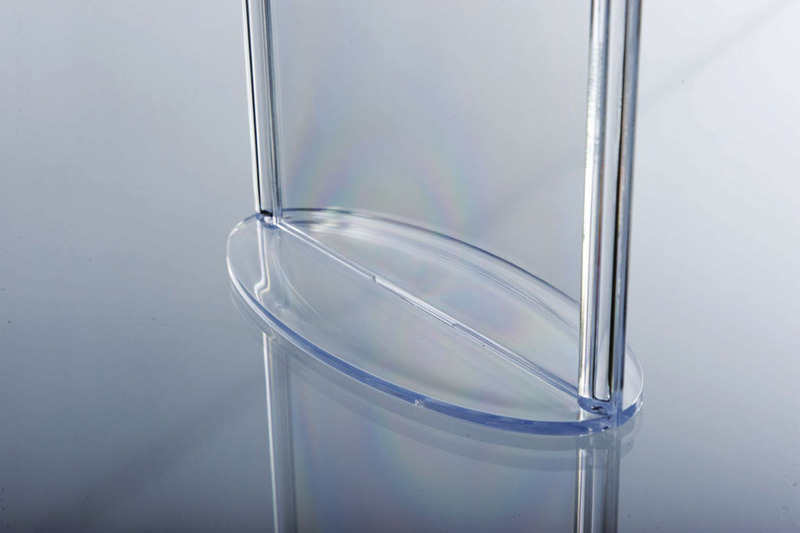 Stylish and safe rounded edges and oval base. 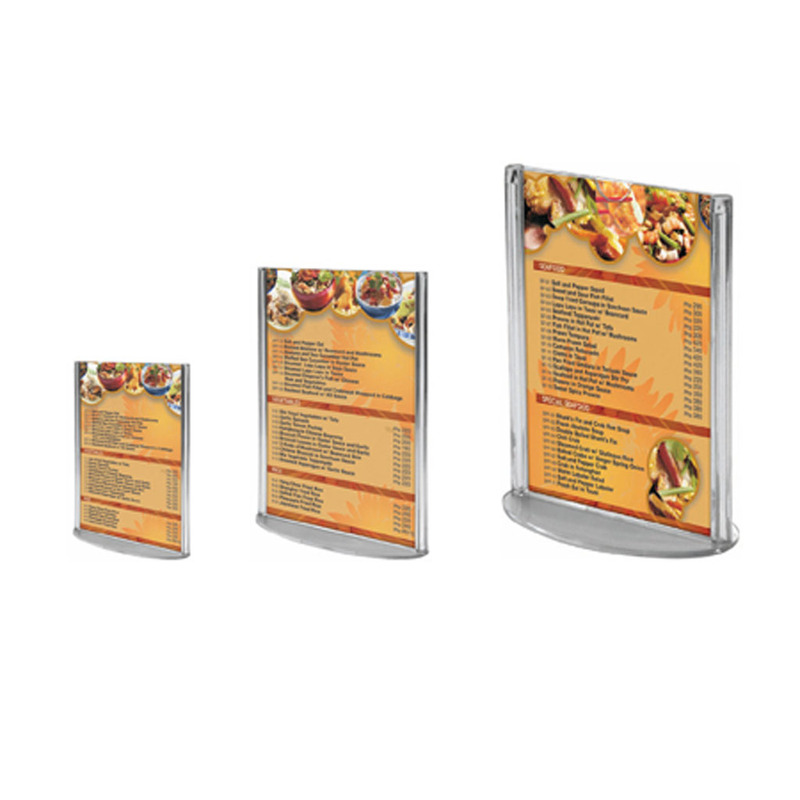 Holds double sided or back to back sheets in A4, A5 or A6. 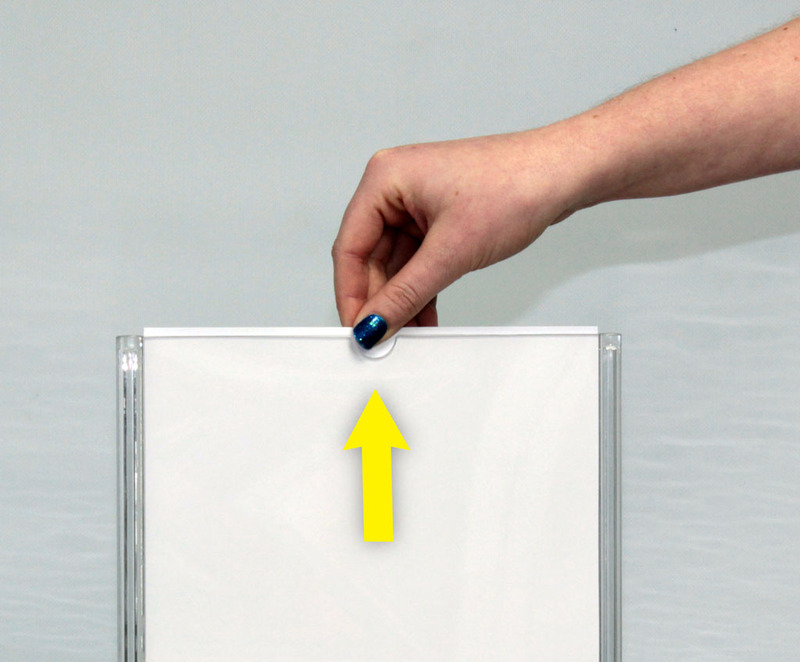 Tab cut into top edge makes changing inserts fast and simple.